Stephen Mansfield, a well-known author on religion, has written an unusual article for Huffington Post about the Mormonizing of America. In it, he traces the history of Mormon acceptance in American society and then examines what causes so many Mormons to become successful. He notes that people who mistakenly refer to Mormons as a cult fail to notice that the values Mormons teach are merely the traditional values of the country, the ones that helped make it successful. Mormons—a nickname for members of The Church of Jesus Christ of Latter-day Saints—believe that the most important place to change a nation or a world is in the home. Government, teachers, and youth group leaders—even churches—should only support parents in their primary responsibility of raising and shaping children. To that end, Mormon parents devote an amount of time to their families and that time has an impact. No matter how busy they are, they work to gather in the mornings for family prayer and scripture study. In the evenings, they will pray as a family again. Once a week, they close the doors of their homes to the outside world and hold family home evening. During the next few hours, usually on a Monday evening, they study their faith, make family plans, work out challenges, play games and enjoy singing together. It’s an old-fashioned idea that has enviable results. Mormon teens are less likely to leave their faith than other religious teens, and even to keep it as adults. They are more family-centered and less likely to use drugs, smoke, drink, or become pregnant outside of marriage. Because they know what their parents expect of them and have a close relationship with their parents, they are more likely to honor the standards of their parents. In addition, they are told they must never just take another person’s word for the truthfulness of their faith. Only God can give them an answer they can’t question, and so they are taught, beginning as young children, to ask God. This gives them a personal testimony of their beliefs that transcends family tradition. 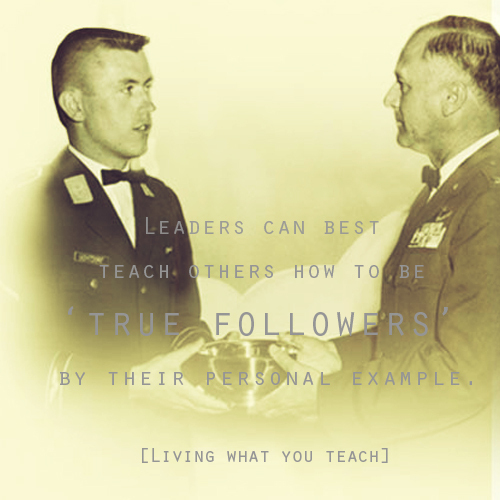 Mormons learn the value of hard work and develop leadership skills early on. 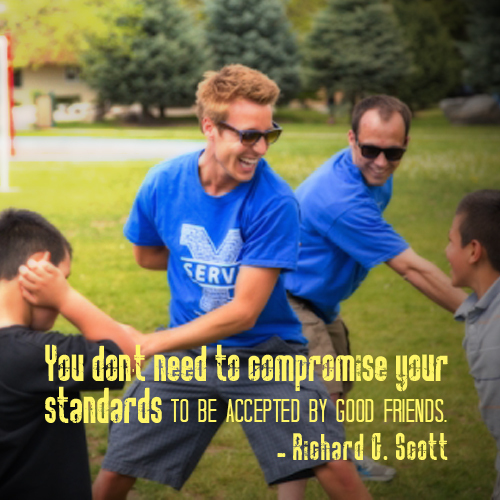 Mormon teens lead their own youth programs under a gentle shadow leadership by adults. A unique system of callings, in which Mormons are asked to undertake volunteer positions in their church teach them to serve and broaden their skills. These callings are changed often and are assigned, rather than chosen, which means Mormons often find themselves outside their comfort zone. That, in turn, helps them learn new skills and to discover they can do and be more than they thought possible. Many take the skills learned at church and apply them in their employment or in government or community service. A culture of goal setting helps them become everything they can be. Children eight and older belong to activity groups in which they are taught to set goals and then formulate a plan for carrying those goals out. By the time they are teens, they are creating, planning, and leading ten-hour service projects each year. Mormonism creates a unique culture because it begins with the teaching that we are children of God and therefore can be anything, do anything—we are special. God created us out of love and we have that love to strengthen us as we go through life. 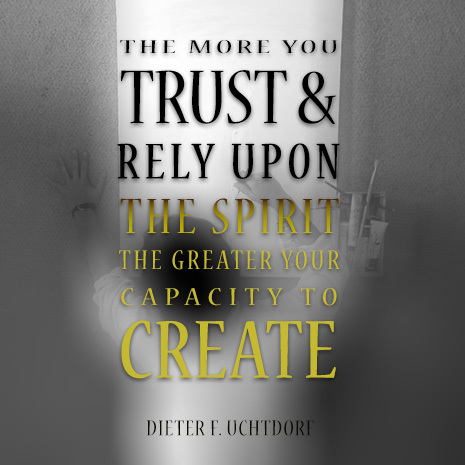 He created us to succeed—and Mormons don’t like to let God down, so they work hard to be the best of whatever they decide to be. Read Mansfield’s article on the Mormonizing of America. Every year since the rankings began, Brigham Young University has been named the most stone-cold sober university in the United States by Princeton Review. This is their sixteenth year of being the most alcohol-free school in the country and the world has taken note that the students celebrate their placement on that list. They are proud that they don’t need alcohol to have fun. They are creative and smart enough to know how to have fun that won’t lead to humiliation, headaches, or other challenges that come from entertainment that involves getting drunk. When they wake up in the morning they remember exactly what they did and know they were in control of their behavior. This allows them to avoid ruining their futures (or even dying) because of stupid choices made under the influence of alcohol. A lot of teens, and even adults, think they can’t have fun unless they are drunk. When you work hard to value yourself and to know who you really are, you can have fun without being drunk or immoral at all. Old-fashioned fun is inexpensive and, in the long run, has more benefits. Mormon teens (members of The Church of Jesus Christ of Latter-day Saints, as the church is officially known) learn at a young age how to have fun in simple events as well as complex ones they aren’t afraid to let their parents know about. Can You Have Fun Without Drinking? I became a “Mormon girl” (a member of The Church of Jesus Christ of Latter-day Saints, which church is often inadvertently referred to as the “Mormon Church”) just after my seventeenth birthday. 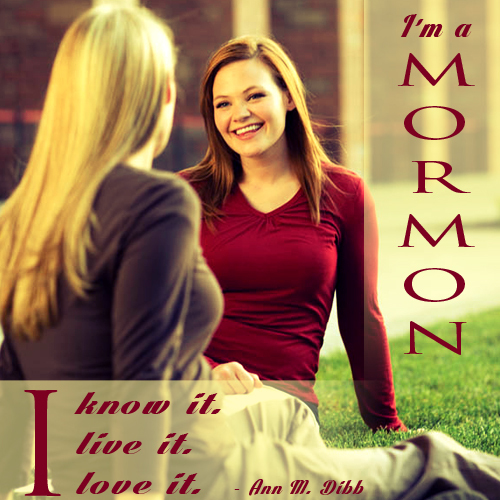 I had spent a lot of time observing the Mormon girls I knew so I could figure out how to be like them. Some things were obvious, although it took time to understand just why they did them. For instance, the girls dressed modestly. They were fashionable and many were popular. One was prom queen and one was the captain of the drill team. They didn’t look stodgy or old-fashioned or out of touch at all. Their clothes were cute, but modest. I learned that both Mormon boys and girls were taught to be modest to show respect for themselves and for their Heavenly Father. God created them in His own image. Their bodies were gifts from Him. Those two facts motivated them to be respectful of that gift by not using it to gain inappropriate attention.